Help Action Cancer celebrate 40 years of saving lives! Northern Ireland’s leading local cancer charity Action Cancer is calling on men and women across the country to ‘party in pink’ for their 40th anniversary celebrations and sign up to take part in their annual Moonlight Walk in Belfast. All money raised will support Action Cancer’s breast screening service, the only one of its kind in Northern Ireland. Now successfully in its fifth year, the MoonLight Walk will take place on Friday 14th June 2013 at 9pm. Last year nearly 1,000 participants took part in the ten mile walk which departs from Cooke Rugby Club, Shaw’s Bridge to Belfast City Centre and back again. All participants are encouraged to dress in pink – the crazier the outfits the better – to help raise awareness of the charity’s services. Men and women, young and old are all encouraged to get involved in this fun-filled event in memory or support of a loved one with cancer. Prizes are given out on the night for the best dressed individuals and teams so it’s definitely worth putting some thought into those outfits! The event kicks off at 7.30pm with a real party atmosphere with fun music and a warm up before setting off on the walk at 9pm. 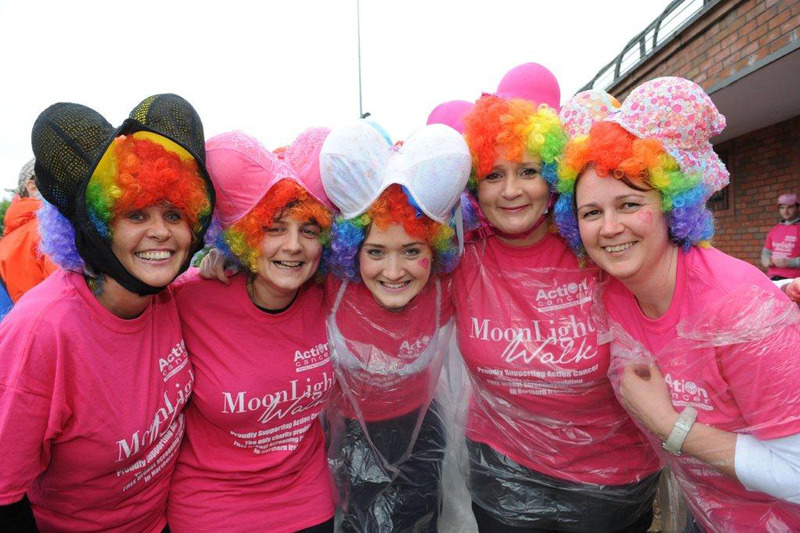 Registration for the Moonlight Walk is £20 and Action Cancer is encouraging participants to raise a minimum amount of £80 – the average cost of a mammogram to the charity. So sign up today and help to save a life! Perhaps you too are celebrating a big birthday this year? if so then celebrate in style with Action Cancer and make a difference to people’s lives. Action Cancer is the only charity in Northern Ireland provides a free breast screening service for women aged 40 – 49 and over 70, complementing the NHS screening programme which calls women aged 50 – 70. This service is funded entirely by public donations.